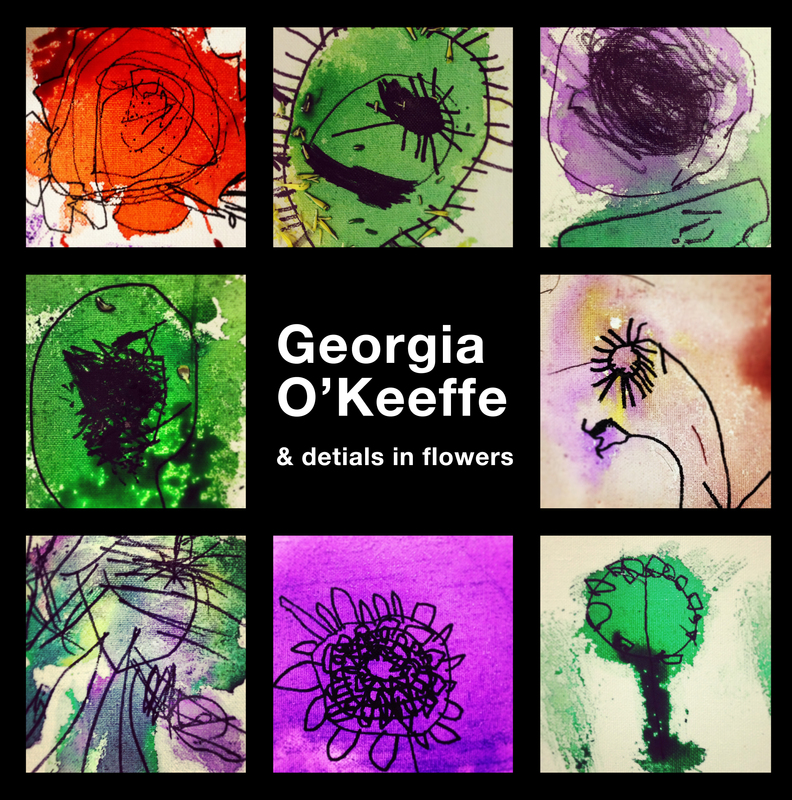 This week my Little Artists (3-5 years old) learned about Georgia O’Keeffe and colors in nature. I brought some flowers for them to explore with magnifying glasses. We talked about details and close-ups and looked at many different paintings. It was fun. Kids touched, smelled and really looked at all the different kinds of flowers. Then they selected the one flower they wanted to paint. They worked on canvas with sharpies and liquid watercolors and really enjoyed the process (it was much less messy than I thought it would be). They painted with brushes and then – with the flowers and we talked about the differences. I love how they turned out – all different. This entry was posted in Art Projects and tagged art, ArTree, canvas, detials, flowers, kids, magazine, preschool, project, sharpie, watercolors. Bookmark the permalink. ← Food, food and food!